Lynn, the author behind TiePlay Educational Resources, is with us today sharing her insight on how to use puppets in the classroom. 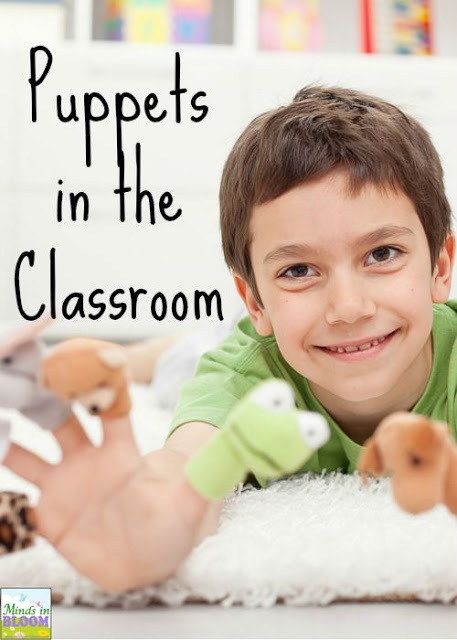 Your students will love interacting with reading and writing through puppet shows! Some kids have difficulty writing, but most all kids love puppet plays. How can a teacher of 25 or more students implement puppets in the classroom along with reading skills and everything else? This idea sounds challenging. Yes, it can be done! How? Spend about 20 minutes each day, and then move onto other ELA topics. Also, if a student finishes other subject matter work early, they might work on a component of their skit. First things 1st… choose the Common Core State Standards or other state or class standards. Depending on your class grade level, this lesson could cover the range of writing, dialogue, writing narratives, and presentation goals. Next, show your students examples of puppet plays. Here are some possible examples for younger grades based on a classic tale. Go over grading and group participation expectations. Explain that the class will be creating puppet shows. Some terrific rubrics can be found at this website that you can adjust for your class. Create a puppet play as a whole group. 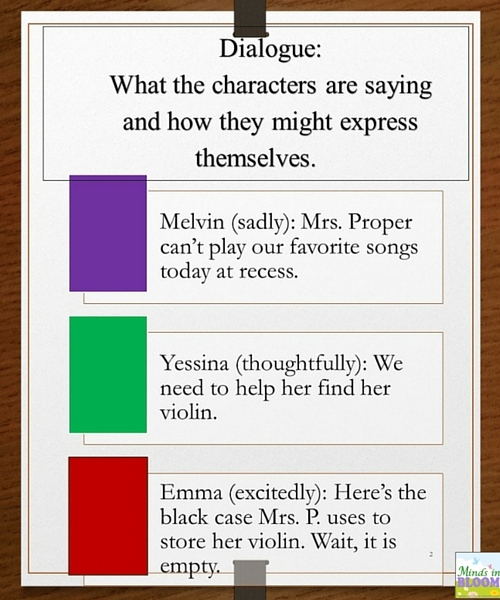 The class skit can be based on another story, such as Cinderella, or an original idea. Review key terminology and then brainstorm ideas for the genre, plot, setting, characters, actions, and dialogue. One concept and brainstorm a day should suffice! 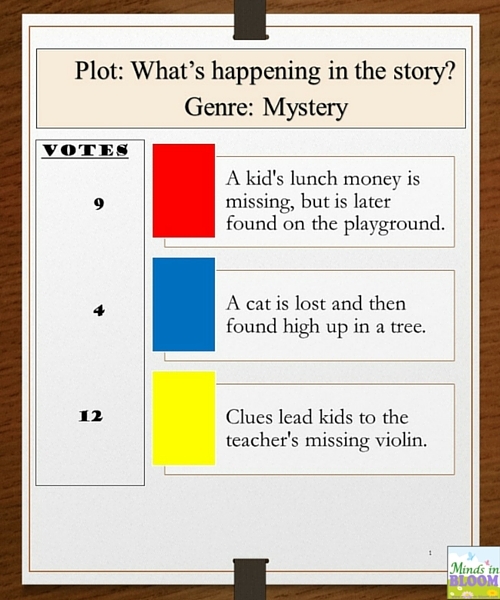 Student ideas can either be put up to a vote (the majority wins) and/or ideas selected by the teacher from each child. Place final thoughts on sentence strips or a SmartBoard. Edit the final skit with the students. Have groups of students perform the skit and videotape or tape record the presentation. After the student creates the skit, have them make a puppet and possibly even a setting. They can create a stick puppet or paper bag puppet. They can then practice the skit using their final and edited script for their presentation video or tape recording. This website has some neat puppet ideas along with the directions. Lastly, go over the rubric with the learner and give them feedback for their next presentation. Some students might benefit from creating a wordless puppet show, with action, setting, characters, and little to no dialogue. A scribe might write or type the words for learners. 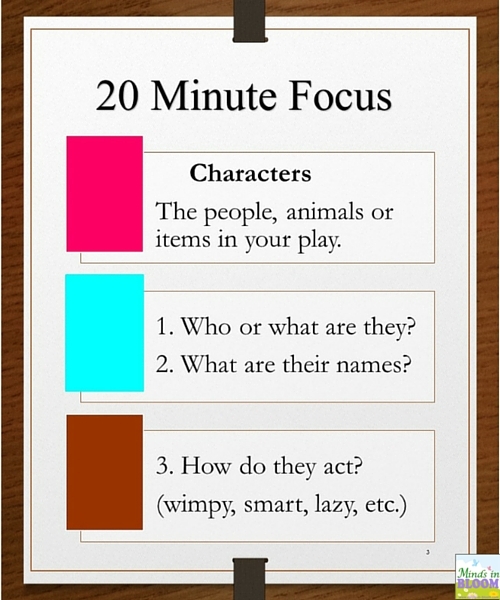 Students might also wish to present the script with pictures for a display. Some learners might wish to privately demonstrate their skit during recess or another time. Twenty minutes a day really adds up. In about three to four weeks, expect super performances! Hi, I’m Lynn from TiePlay Educational Resources. I’m a certified teacher for elementary grades PK-6 and SPED Pk-12 in two states and hold a M.Ed in Education & Technology. 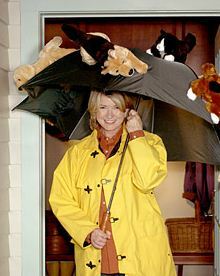 I have four wonderful children, a great husband, and two fluffy cats. 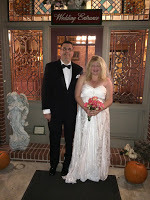 I have many hobbies, including cooking, reading, gardening, traveling, and creating educational materials for teachers. I am a big history buff, and I learn new things each and every day. A great reminder! Storytelling is a lost art these days and this is a great way to revive those skills! Thank you! Most kids love to give a puppet performance. Allowing kids to write their own short skits, use their imaginations and hit on some Common Core State Standards is sure to be a winning combination. character building is the success to the building of future leaders! good character teaching and building method ! Character building is so very important and can be implemented in the classroom with puppet skits.